What a glorious time! We’ve already very recently reported on new albums announced by Steve Earle, Tedeschi Trucks Band, Patty Griffin and a new collection from the late Townes Van Zandt. Now five more mouth-watering issues coming along soon. 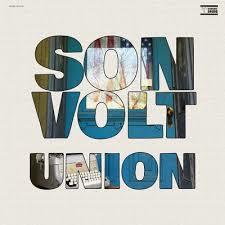 Son Volt‘s ninth album, Union is due out March 29 on Thirty Tigers. According to the band’s website, Union is a more Americana outing than its predecessor, 2017’s Notes of Blue which experimented with alternate tunings and blues styling. “There are so many forces driving our country apart,” observes Farrar. “What can we do to bring our society back together?” Eight of the thirteen new songs were recorded at places associated with two figures in American history whom Farrar considers important – labor and community organizer Mary Harris “Mother Jones” and iconic folk hero Woody Guthrie. Three songs were tracked at the Mother Jones Museum in Mount Olive, Illinois and four others were recorded at the Woody Guthrie Center in Tulsa, Oklahoma. 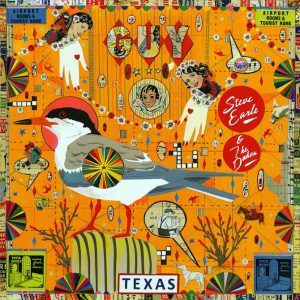 The legacy of Woody Guthrie helped to inform Union’s closing song “The Symbol” which was inspired by Guthrie’s classic “Deportee” (“Plane Wreck at Los Gatos”). Union features long-time band members Mark Spencer (piano, organ, acoustic slide, lap steel, backing vocals) Andrew DuPlantis (bass, backing vocals), returning member Chris Frame (guitar), as well as newest member Mark Patterson on drums and percussion. The Infamous Stringdusters. On the heels of their 2018 Grammy-winning Bluegrass Album of the Year Laws of Gravity, the band announces their newest record Rise Sun, due April 5 via Tape Time Records. 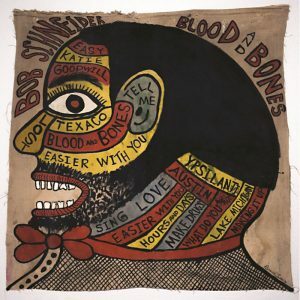 In a break from past tradition, the band conceived the album’s track listing before recording commenced, creating a narrative that flows across the album’s thirteen new, original songs. The quintet — Andy Falco [guitar], Chris Pandolfi [banjo], Andy Hall [dobro], Jeremy Garrett [fiddle], and Travis Book [double bass] — wrote or co-wrote all thirteen songs on Rise Sun, enlisting the help of maverick producer Billy Hume, whose credits range from bluegrass to hip hop, and contributing co-writers Sarah Siskind (Alison Krauss), Kim Richey (Brooks & Dunn, Trisha Yearwood) and others. A Canadian by birth and a San Diego resident for most of his career, Steve Poltz made the move to Nashville, TN and quickly found a circle of like-minded musical friends, including the album’s producer, Will Kimbrough. Poltz will release Shine On on March 1, 2019 through folk/roots label Red House Records. “I was in Nashville having lunch with a friend. It was a Wednesday,” says Poltz about the track. “The lady rang up my sandwich and said ‘that’ll be 7 dollars and 67 cents.’ I handed her a crisp hundred dollar bill and she looked at it and said ‘ooooh ballin on a Wednesday!’ I said ‘did you just say ‘ballin on a Wednesday?’ She said ‘uh huh’. She had a beautiful gold tooth. It was awesome. Right at that moment I started writing that song. 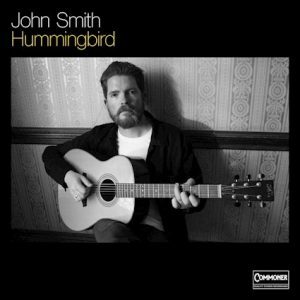 In the 20 years since his full-length solo debut, One Left Shoe, he has put out 12 solo records, spanning the acclaimed 2010 Dreamhouse and most recently Folk Singer in 2015. Tim O’Brien recently announced a headlong leap back into traditional bluegrass with his new full-length album, Tim O’Brien Band. Due for release on March 15, 2019, the title is a sly nod to traditional music’s often eponymous band names, a collection of not just old-school leaning music, but also of world-class musicians perfectly aligned in intention and ability. In addition to Tim, Mike Bub (bass), Shad Cobb (fiddle), Jan Fabricius (vocals/mandolin) and Patrick Sauber (banjo/guitar) make up this unstoppable band, who, from recent live performances, may be familiar to Tim O’Brien fans. O’Brien says, “This crew has the potential to make ten more records together and never reach the limit of the possibilities.” The only guest on the recording is O’Brien’s Hot Rize bandmate Bryan Sutton, who lends his distinctive guitar playing to two tracks. Of the five original songs on the record, O’Brien wrote two by himself. Fabricius, Shawn Camp, and The Black Keys’ Dan Auerbachcontributed to the remaining three. The rest of the record is comprised of songs hewn from a number of Tim’s influencers, old friends, and contemporaries. Luther Dickinson and Sisters of the Strawberry Moon are set to release their debut album Solstice on March 22 via New West Records. The all-star collaboration features Dickinson alongside Amy Helm, Amy LaVere, Birds of Chicago, Sharde Thomas and the Como Mamas. 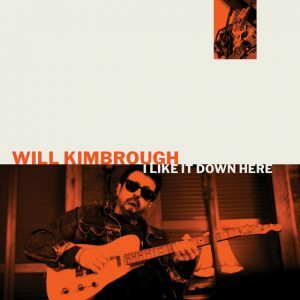 Produced by Dickinson over four days at his family’s Zebra Ranch Studio in Independence, Mississippi, Solstice follows his critically acclaimed and Grammy-nominated 2016 album Blues & Ballads (A Folksinger’s Songbook) Volumes I & II and Prayers For Peace, his 2017 album with the North Mississippi Allstars. 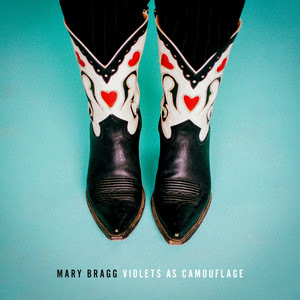 While mostly recorded live in the studio, the band did invite a few special guests to contribute additional parts, including the fiddler Lillie Mae Rische (Jack White, Jim Lauderdale), organist Rev. Charles Hodges (Al Green, Willie Mitchell), and Grammy-winning artist and producer Alvin Youngblood Hart. Solstice was also mixed by Jeff Powell at Sam Phillips Recording Service in Memphis, TN.